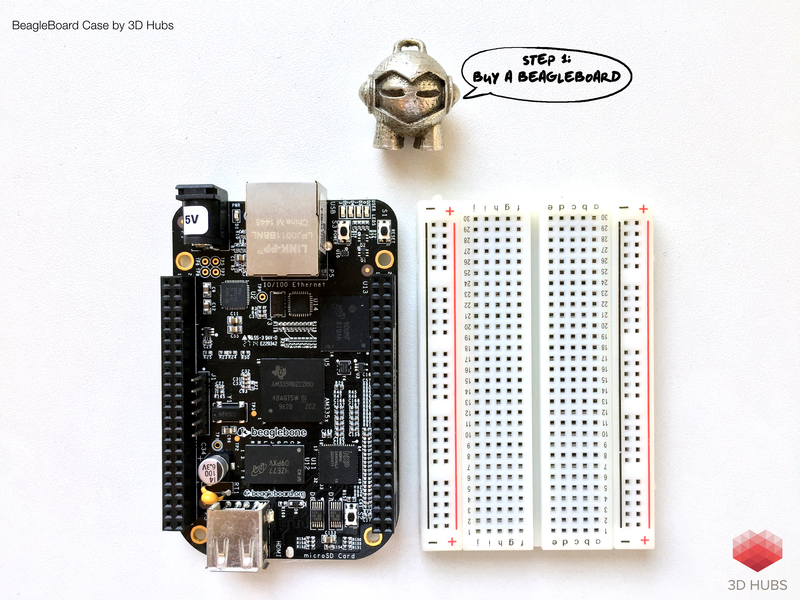 The BeagleBone is a low-power open-source hardware single-board computer which is perfect for the development of projects and prototyping. It has the functionality of a basic computer. 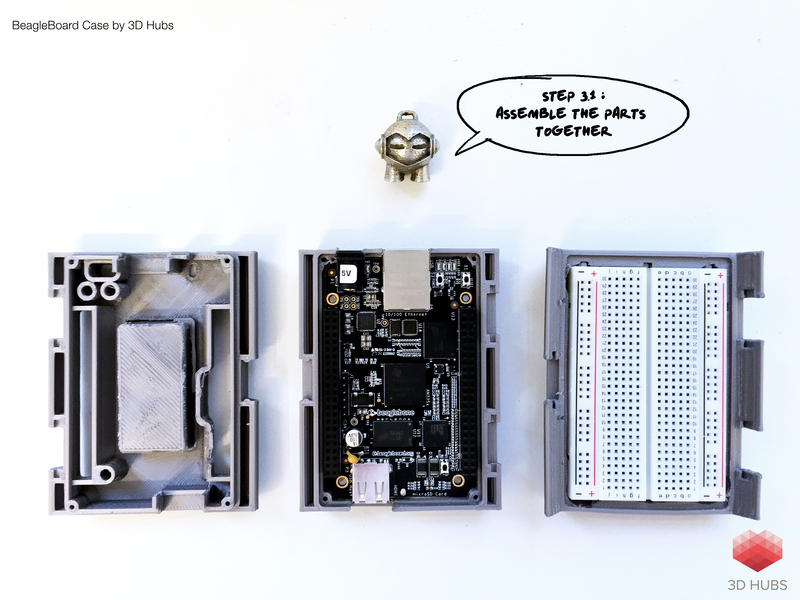 In this quick tutorial we will make a case for the BeagleBone Black. Step 1: Buy a BeagleBone Black and a half sized breadboard (if you don’t have one yet). Visit: http://beagleboard.org/black and get yourself a BeagleBone black! Half size breadboards are available on Amazon and https://www.adafruit.com/products/64. 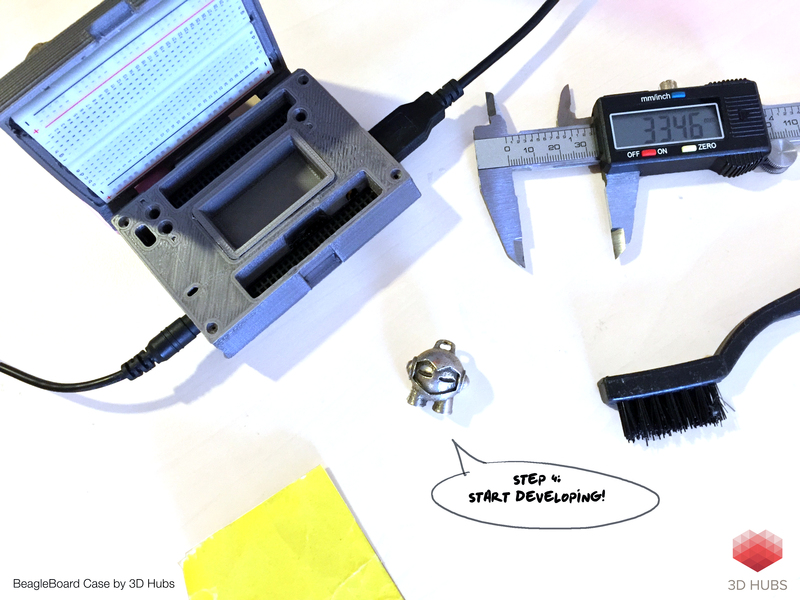 While waiting for the BeagleBone to arrive, 3D print the given .STL files. 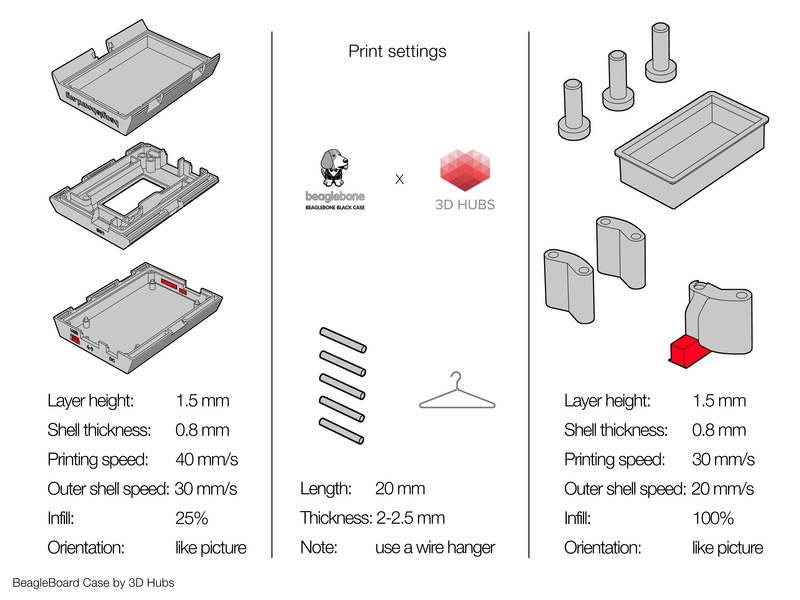 You can do this on your own 3D Printer (if you have one of course) or print it locally via 3D Hubs. 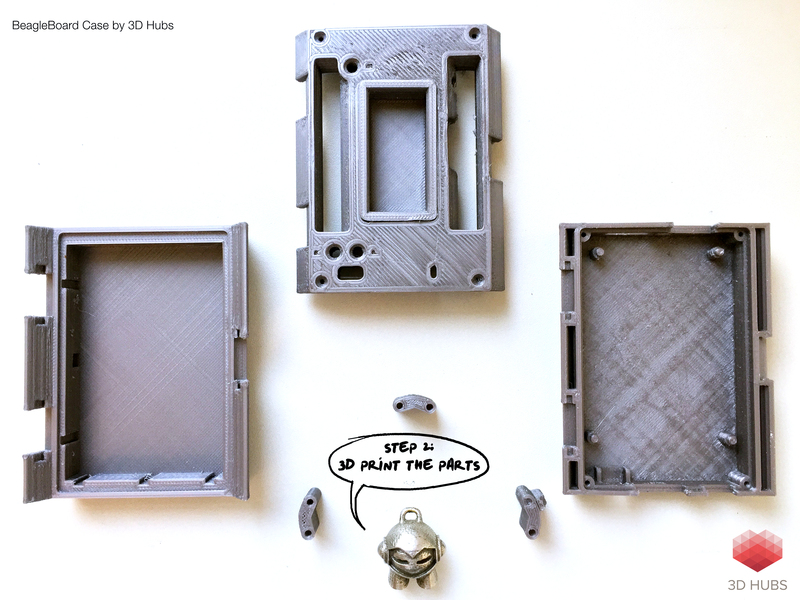 The case was printed on a BEETHEFIRST (FDM 3D Printer). All parts were printed without support and no raft was applied. Resolution: High (0.1 mm) Colour: Telegrey. See the second picture below for detailed settings of each part. After you’ve printed all parts, it’s time to assemble it all together. The pieces slot nicely into place so it shouldn’t be too much of a struggle. After this it’s about plugging in the cables and beginning your next exciting project! The great thing about this case is its so portable whilst maintaining its ability to be functional. 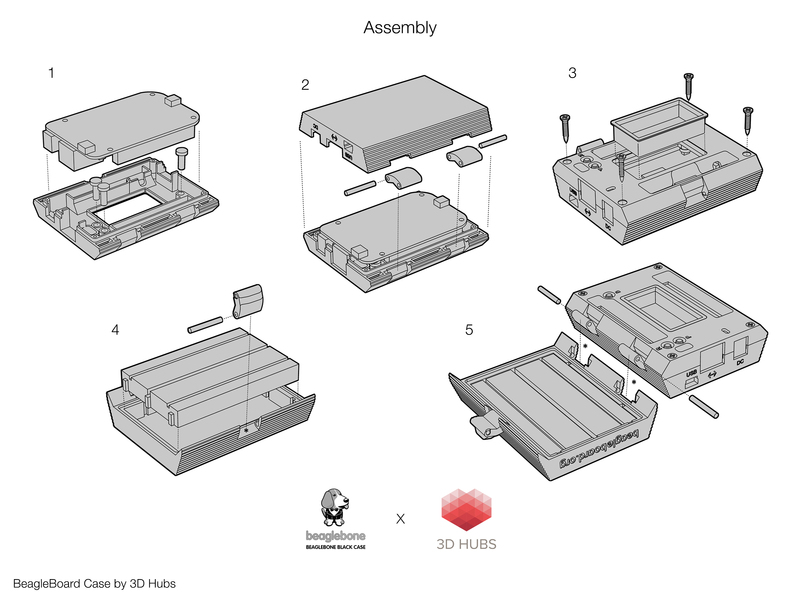 As for the assembly, it is a very easy process but it depends on your printer and whether the parts are an easy fit. On the picture below you can see different printed BeagleBones which were all a little bit different from each other, even though it was printed on the same printer. 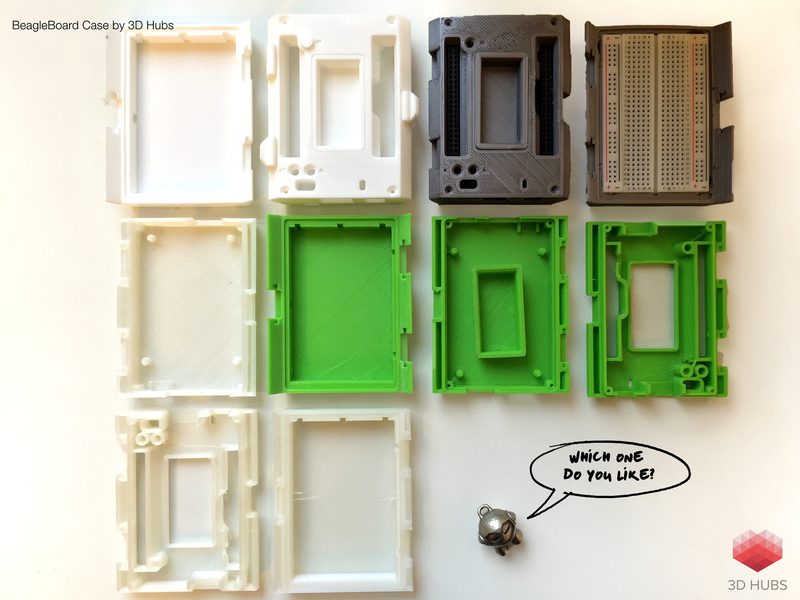 The upper left case is the exception which was printed on an SLS printer which is much more accurate, sturdy and also looks way better. 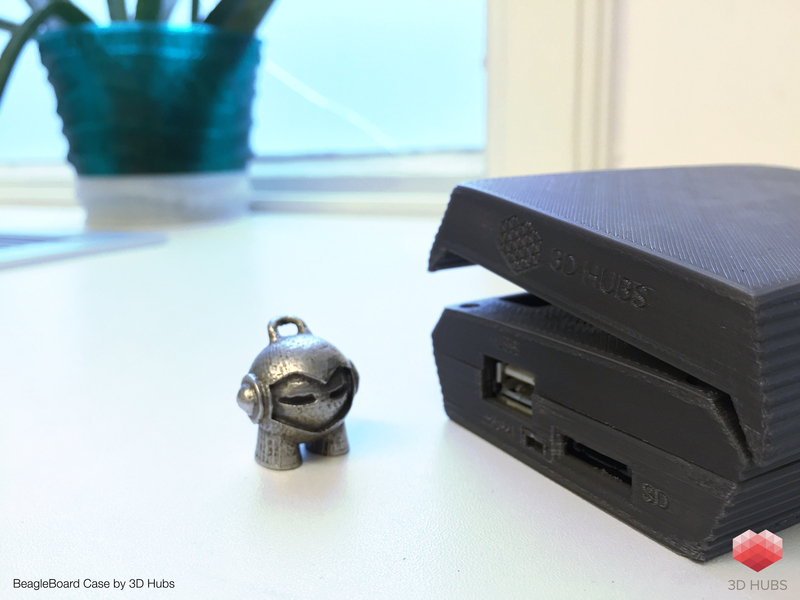 This case was printed with our new 3D Hubs HD service now providing industrial grade 3D printing around the globe (totally awesome yes). An improvement to this model would be to change the model a bit or even scale it with 2% so the parts would fit easier, but this is totally up to you. 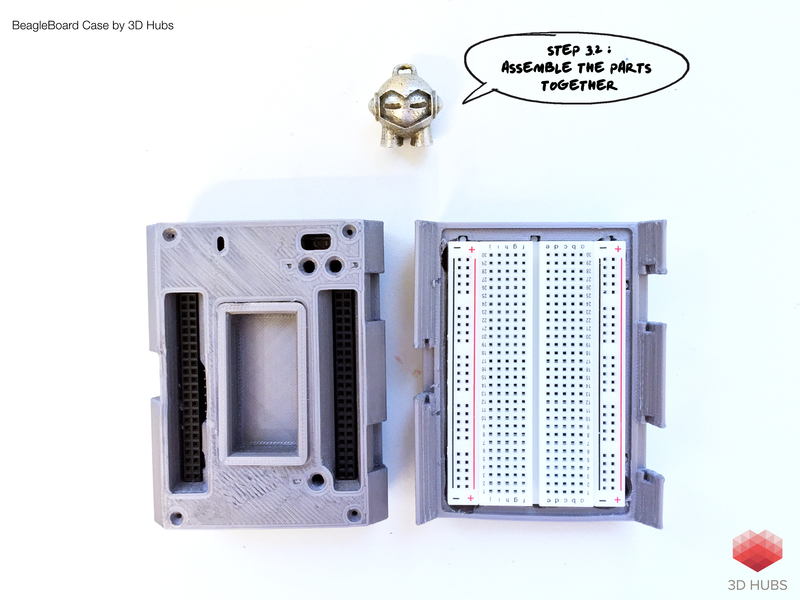 Keep in mind that the screws and hinges are not shown in this tutorial but are definitely needed to make a functional BeagleBone Black case.